Homeowners choose to remove dead trees for a variety of reasons including aesthetics and safety precautions. Not only do unstable trees pose a hazard, but they cause costly property damage and loss of life when left unattended. Additionally, trees can lead to legal concerns if a tree on your property causes damage to a neighbor’s property. Death can occur because of weather, insects, or nutrient and water deficits. Indicators of a dead tree include falling branches, decaying bark, and unstable roots. Professional arborists often assess the condition of trees to establish if they require treatment or removal. Some environmentally friendly municipalities also have strict protocols for tree removal that requires an arborist’s declaration of the state of the tree before extraction. If you are unable to determine the status of your tree, you should consider hiring a professional who can evaluate the best outcome based on your circumstances. Do I Need To Hire a Professional Tree Removal Service? 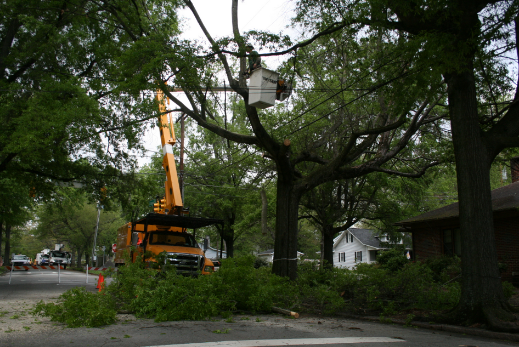 Often, trees grow near power lines, fences, roofs, or streets which require many precautions to remove them. Felling a tree is not as simple a process as it seems. One misstep can lead to immediate repercussions that no homeowner wants to experience. Some homeowners with tree removal knowledge choose to save money by removing trees themselves. The process, however, is not safe or straightforward for anyone who lacks advanced removal knowledge. Homeowners can accomplish smaller jobs alone, but DIY projects of more massive trees should not happen because of the dangers of falling limbs or improper cutting technique. Moreover, the task may require extra precautions like ropes or cranes which most homeowners do not have on hand. There are multiple diseases and pesky bugs that can cause tree limbs to decay. 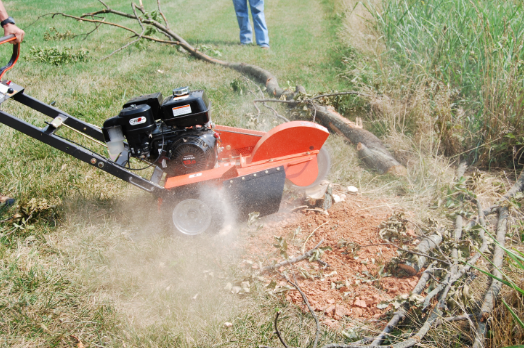 Weather fractures, fungi-damaged limbs, and cracked wood can all affect the cost of trimming. If you have branches growing on your power lines, you merely need to call your utility company which will remove them at no cost to you. For any other reason, you will need to either do it yourself or hire a tree trimming service provider. DIY projects cost around $50 mainly for tools or gas if you need to remove debris. Tree trimming providers analyze a few factors to estimate the cost of service. Most companies charge an hourly rate. The median charge nationally is $200.00, but you should expect to pay between $75.00 and $1000.00 depending on the complexity of the job. When homeowners remove trees, the stumps remain as that is not a typical duty during the tree removal process. The additional removal cost will depend on the size of the piece of wood that remains. The height and width of the stump can affect the type of grinder needed to accomplish the task. 1. Tree Variety: Some trees are more difficult to remove than others, and the amount of time and the type of tools to remove the stump affects the cost. Once the removal process completes, the amount of time to gather the wood and grind it further adds to the billing amount. 2. Type of grinder and equipment needs: A stump grinder is a piece of equipment that has a wheel and teeth which are controlled by hydraulic cylinders that penetrate the stump. A cylinder grinder attaches to a piece of equipment like a tractor. This piece of equipment can remove a stump within moments, so it has a lot more power than a typical one. The cylinder grinder is more proficient in that it destroys the larger and more complex tree root systems. The stump grinder leaves the potential for regrowth as it only can go down about ten inches into the earth. Because of the difference in brands, their features can factor into the stump grinding cost when the job requires a more powerful tool. 2. Root and dirt infrastructure: The older the stump, the harder it is to remove because the root patterns are more intricate. Experts analyze the complexity of the roots that need removal and then decide on the necessity of a grinder’s size. If it is a young tree in soft soil, it will not take the time or the equipment that a large tree in dry, packed dirt would. 3. Service Completion: Once you cut the tree, then you have the stump remaining. Once you cut the stump, you have mounds of sawdust. The more services that tree cutters provide, the higher the cost will be to remove the debris after each service. Most homeowners want flawless landscapes, and they consider these services a part of the removal process. ​Pricing the removal of a tree is impossible without first assessing the area. While there are no standard costs, you will probably pay base fees of about $10.00 per foot of the height of a tree. The taller the tree, the likelihood of having to use specialized equipment like ropes, ladders, and power tools. Additionally, factors like labor charges, accessibility, tree variety, overhang, or disposal methods further complicate tree cutting prices. Small jobs may only require one team member to complete the task. In that case, your rates will not be as high as more massive trees that need several people to achieve. Hourly labor charges apply so it will factor into your estimate. The location of your trees dramatically affects tree cutting prices. If a tree is near the property, it requires additional safety measures to prevent damage. If the tree is near a roadway, you may have to stop traffic which needs a permit. If the tree is near a power line, you may have to ask the local utility company to remove the lines. Most power companies charge only $20.00 to remove power lines, but it could cost thousands if you drop a tree on them. Failure to do so could end in costly fines and replacement fees. 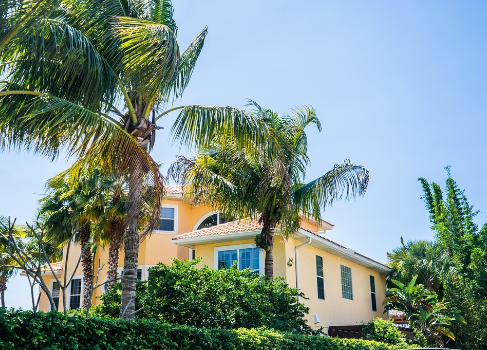 Palm, pine, and oak trees all require different removal tactics which can affect the cost of removing them. Palms have teeth which involve the use of ropes to bring down. They also are unstable, so safety is an additional concern. Pine trees require safety equipment and depending on the type of pine; it may necessitate other removal techniques because they can grow to more than eighty feet in height. Oaks grow to sixty feet, and they are durable which make them difficult to cut. This type of tree often needs heavy-duty equipment to accomplish the task. If your trees have much overhead, it may require trimming before a tree can fall safely. Once down, you will need to decide on what you want to do with it. If you have a fireplace, it is a convenient way to get wood. If not, you will need to either remove debris or pay the tree trimming service providers to do it for you. It will factor in minimal costs, but it will save much time and energy for the homeowner. The job of tree trimmers is to remove problematic branches from residential neighborhoods, businesses, public buildings, or utility right-of-ways. Trimming becomes necessary for aesthetics, organic growth, health, or even to clear power lines or roadways. If you are a homeowner who likes to present a neat and tidy yard, seasonal trimming will ensure it. More importantly, it will prevent any hazards that cause severe injury or property damage. What Type of Equipment do Tree Trimmers Use? Accessibility to tools is the reason that many homeowners choose to hire professionals rather than do it themselves. Other than a chainsaw or an ax, there are many tools that tree trimming requires to ensure accuracy and safety. Ropes and ladders must be used for tall trees so that trimmers can ascend and descend safely. Lines that pull down the larger branches ensure that trimmers do not have to put themselves in direct danger of falling on them. Safety tools like a hard hat, steel-toe boots, gloves, and eyewear protect trimmers from serious injuries or death. Because trimmers often work in dangerous locations like the canopies of trees, specialized equipment like climbing hooks, safety rigging, pole saws, and chainsaws require skill and knowledge to ensure their safety. They also use harmful chemicals when tree bugs and disease have disrupted the typical life cycle of your trees. What is the Median Salary for Tree Trimmers? Tree trimming is a skill that can be learned on-the-job. While some of them have certifications, most employees demonstrate physical strength, tool knowledge, communication skills, and proficiency in safety protocols. Because of the hazards in this industry, the median annual salary for a trimmer is $33,500. Depending on the state you live and the amount of experience and education, you can make between $21,000 and $56,000. Some states require arborist or organic certification, so the more you invest in your skills and knowledge, the higher your potential to make more in this industry. By 2024, the job outlook is expected to grow by 6% which shows great potential as a respectable profession. Tree pruning is the most common form of maintenance provided by experts because homeowners want aesthetically pleasing landscapes. Trees grow naturally, but regular pruning maintains the health and structure which prolongs their lives. Trained gardeners, landscapers, or tree biologists are ideal candidates to provide these services since the improper procedure can structurally damage or lessen a tree’s lifespan. With each pruning, the growth of the tree changes. So it is critical to avoid removing branches without cause. Typically, pruning should occur to ensure that young trees grow soundly. In older trees, pruning removes dead limbs, to enhance the structure, or reduce the possibility of disease or death. There is no particular time during the year that is best for pruning that removes decaying or diseased limbs. Because weather patterns differ in various geographic locations, it is best to research the particular tree before initiating any services. Pruning before the spring pre-growth flush stage puts trees at a lower risk for damage to flower buds which will require closure to heal if done incorrectly. Pruning during the wrong time of year will cause a loss of water accessibility which stunts a tree’s growth and will increase the chance of damaging its structural integrity. In colder temperatures, mature trees should only receive minimal pruning. If it occurs, it should happen when leaves and flower buds are not present. For trees that blossom earlier in the season, pruning right after this process begins will ensure the weeds do not overgrow. Should I Hire Someone to Prune? Homeowners should be aware that some closure of injuries could lead to a spread of disease if not correctly pruned. For these reasons, hiring professionals lessen the chance that irreparable damage occurs. Professionals are trained to begin pruning from the base of the tree, the tree branches, and then the bark ridge. If you lack the skills to prune your trees safely, hiring people who know how to do so enhances the possibility of a positive outcome. 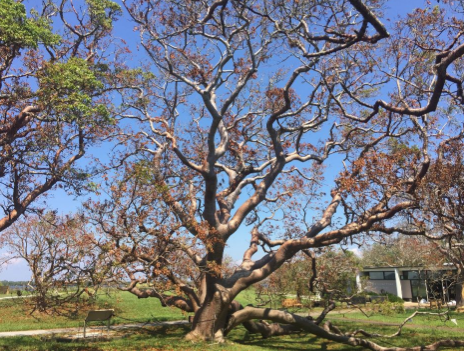 When it comes to determining the cost to remove a dead tree, both a homeowner and a tree expert must evaluate issues like the accessibility of the tree, the condition, the size, and any hazards that exist which could impede removal. Some extractions may only require a chainsaw, but others may need climbing and trimming that will require the knowledge to ensure safety. It is critical to first evaluate a tree before making any decisions, and the cost will be a primary factor to remove it. Homeowners often weigh the decision to remove a tree or hire an expert. While cutting a tree yourself is less expensive, the debris removal is time-consuming. The outcome, as well, could lead to extensive damage that will overshadow your savings if things go astray. Hiring a professional often reduces the stress of handling it yourself. If you are not confident in your ability, it is best to consult with a tree expert before beginning a tree removal. Professionals use guidelines to help establish removal fees, and each job must be evaluated to receive a proper estimate. Arborists assess the property to find any dead trees as well as those that might benefit from treatment to prevent further damage. Reputable tree removal companies provide estimates which allow homeowners to compare prices before any service begins. The expense of a tree removal depends solely on whether your tree is standing or not. Decaying trees are more expensive to remove unless they have fallen and created dangerous situations. Depending on factors like the size of the tree, health, age, diameter, and location, the professionals charge between $75.00 and $1500.00. The average cost to remove a dead tree in 2018 is $651.00. In addition to felling the tree, prices for stump removal, debris clearing, and travel expenses will add to the amount a person should expect to pay. It is best to request a contract that defines the tree removal procedure so that no additional costs are added.